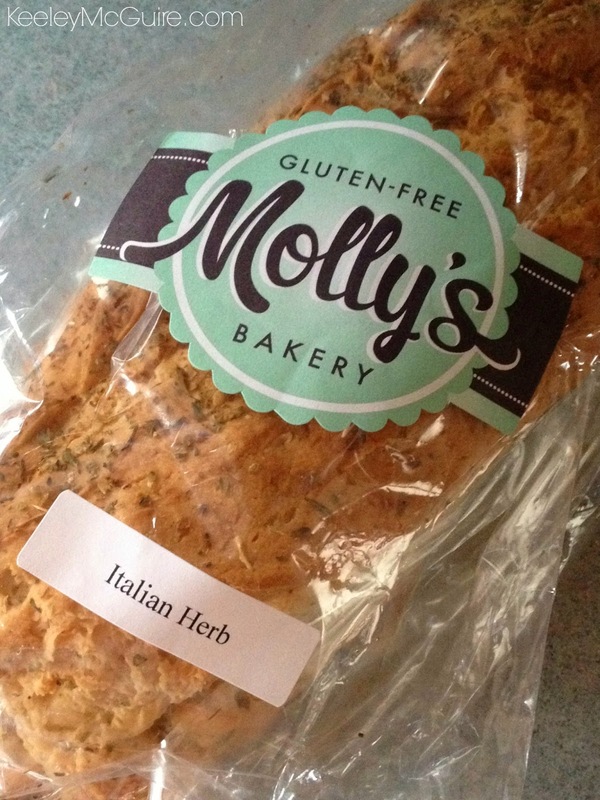 I was so thankful that my friend Sarah of Celiac in the City told me about Molly's Bakery. It's a gluten free bakery and their facility is also completely nut free! They also have many offerings that are dairy & egg free, like the Italian Baguette that I got at the Expo. It's delicious! The bakery is located in Wisconsin, but they do ship... this could be dangerous. Little Miss loved the bread when she sampled after I got home, so I packed her two little "Artisan style" turkey sandwiches in her EasyLunchbox for school. 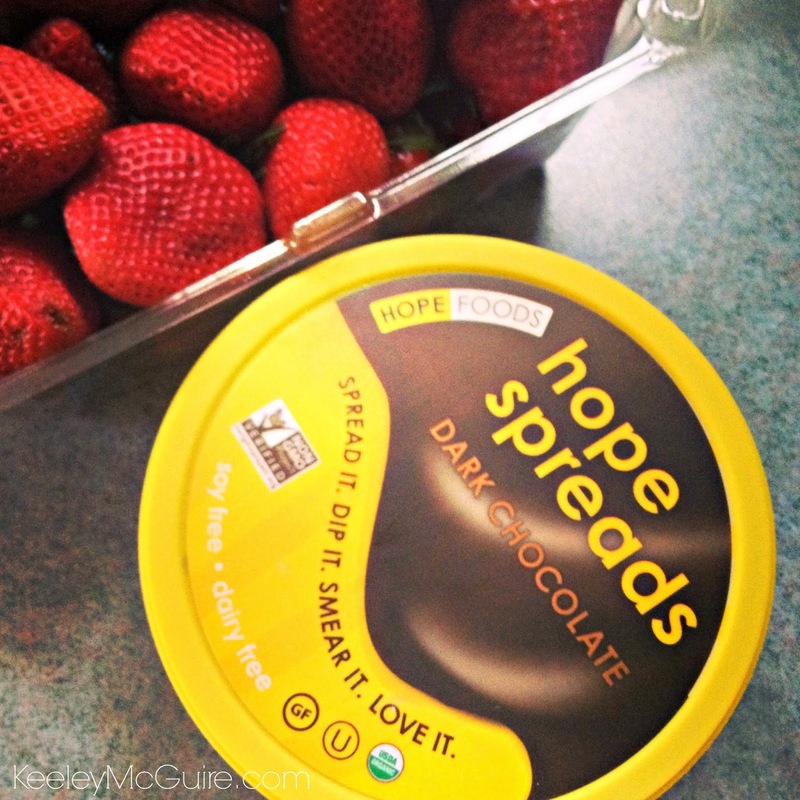 One of the other amazing products I discovered was Hope Foods. I tried their hummus at the Expo - all delicious! But the one that was popular among many patrons of the Expo and bloggers alike was the Chocolate Spread. It's actually a chocolate hummus, but they didn't want to turn people off by the name so they call this particular kind a spread - It tastes like chocolate pudding. It's amazing. 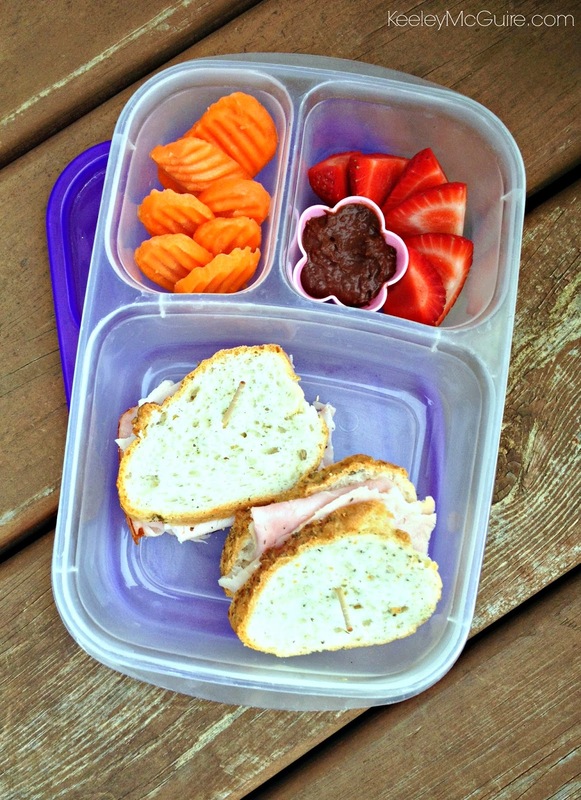 I packed a little for lunch with strawberry slices for Little Miss and I had some last night as a before bed snack. Delicious. 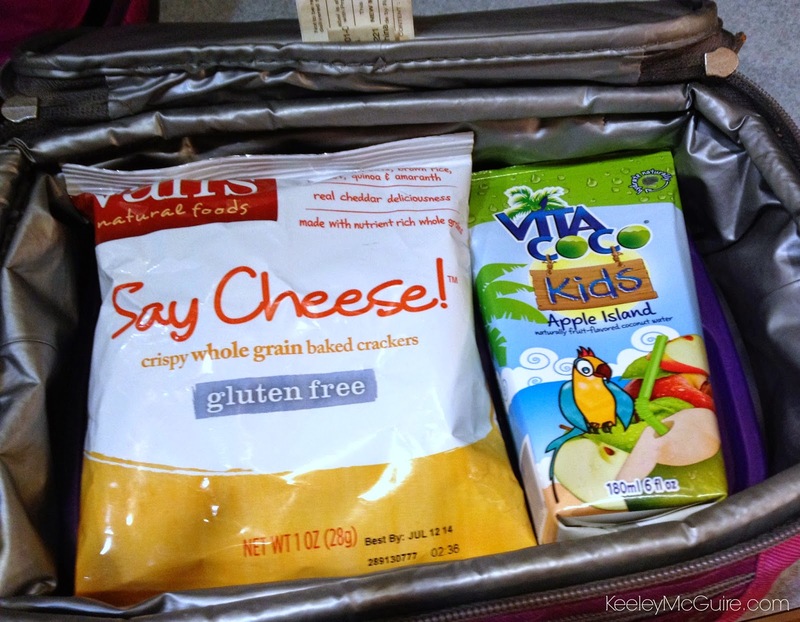 For snack, I packed one of Little Miss' favorites - Van's Natural Foods Say Cheese! crackers. Did you know that the crackers are made in a peanut & tree nut free facility? Love that. Van's was handing out the snack size bags at the Expo so I made sure to scoop some up for Little Miss since they're her favorite. Such a pleasure to finally meet you IRL, Keeley and I look forward to meeting little miss in the future. Ps: those baguettes make amazing open face or hoagie style sammies too, or garlic bread when you slice them the long way. heating isn't required, but I like to give them just a quick microwave or even in a warm oven, yum!! !